UBC Library’s annual Report to the Senate (2015-16) is now available. Read about our milestones from the past fiscal year, which included connecting students to transformative learning experiences, investing in collections and engaging with the community. View the entire report below or or download the PDF. 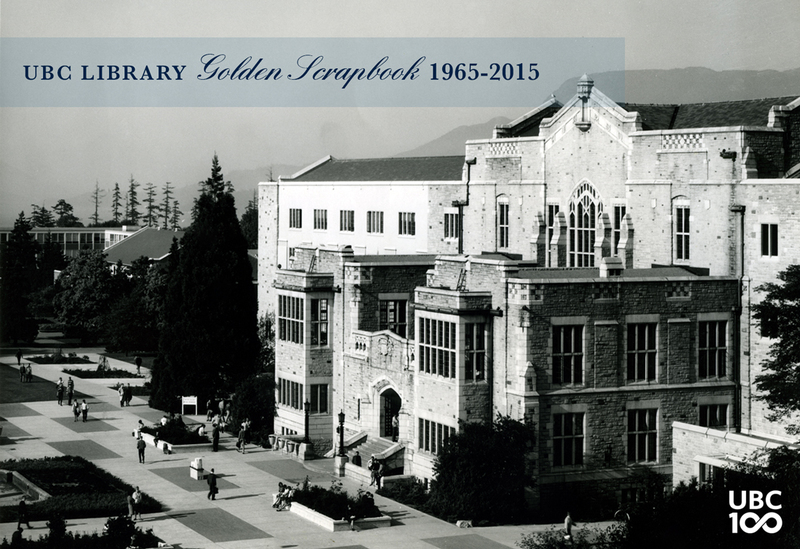 In recognition of UBC’s Centennial year, UBC Library and emeritus Tom Shorthouse are excited to announce the release of Golden Scrapbook: The Centennial Update 1965-2015. 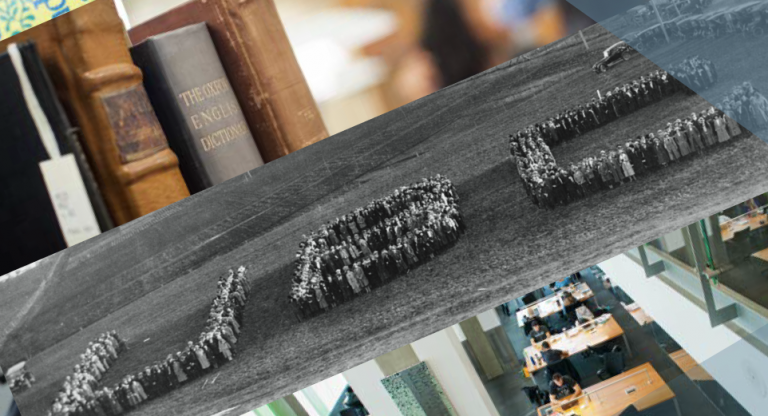 This extensive publication maps 50 years at UBC Library, highlighting personal accounts from University Librarians, milestones in the library’s history, and anecdotes from library employees past and present. Complimented by colour photographs of library employees, library spaces and events from the past 50 years, the scrapbook profiles the growth and development of the library, and follows the Scrapbook for a Golden Anniversary produced in 1966, also compiled by Tom Shorthouse, and published by the Morriss Printing Company. Read the digital version of the new Golden Scrapbook below. Hard copies of the publication will be available to borrow from the library beginning in early October, and a one copy will be held permanently in the University Librarian office wing. One copy will also be placed in the Centennial time capsule. To make an appointment to view the scrapbook in advance of the availability of the circulation copies, please email Jasmine Devonshire. Thank you to Tom Shorthouse for his extensive work compiling content, as well as to George Tsiakos for project support, and Erwin Wodarczak for fact checking. The Spring 2016 issue of UBC Library’s Friends newsletter includes updates on recent collection acquisitions, current exhibitions featuring book illustrations and BC historical photographs, and a look at our Open Collections portal. The Friends newsletter keeps UBC Library’s broad community of supporters up to date on developments and is produced twice a year. Read past issues of Friends here. The 2014-15 annual Report of the University Librarian to the Senate is now available. Read about our milestones from the past fiscal year, which included achievements in research, transforming student learning and engaging with communities. Learn how the Library is moving forward with our new two-year Strategic Plan.